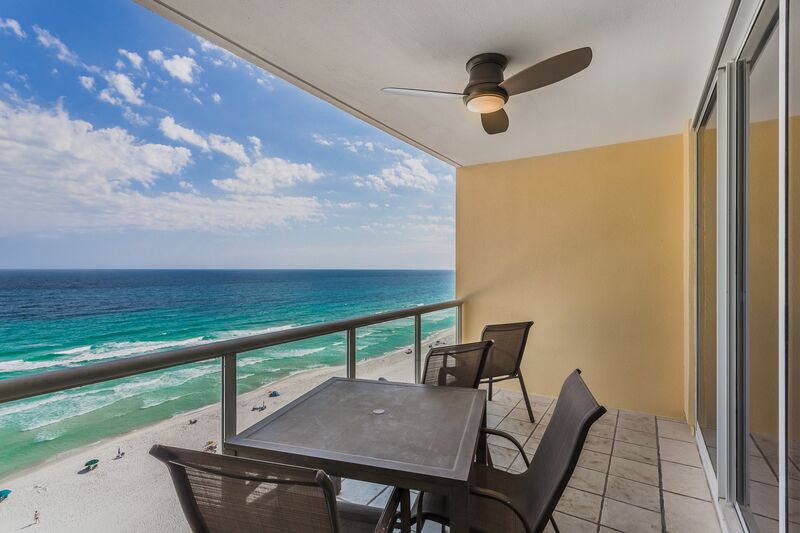 Beautiful Condo with amazing views, Remodeled 2018! Square Feet: 1,784 sq. ft. 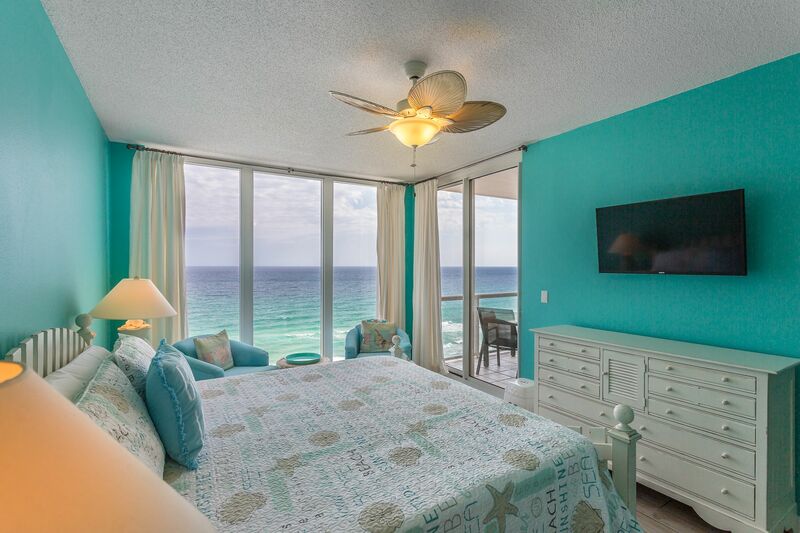 Recently remodeled (in 2018), Aquarius is an incredible 3 bedroom, 3 bathroom beach retreat on the sugar sands of Navarre Beach. 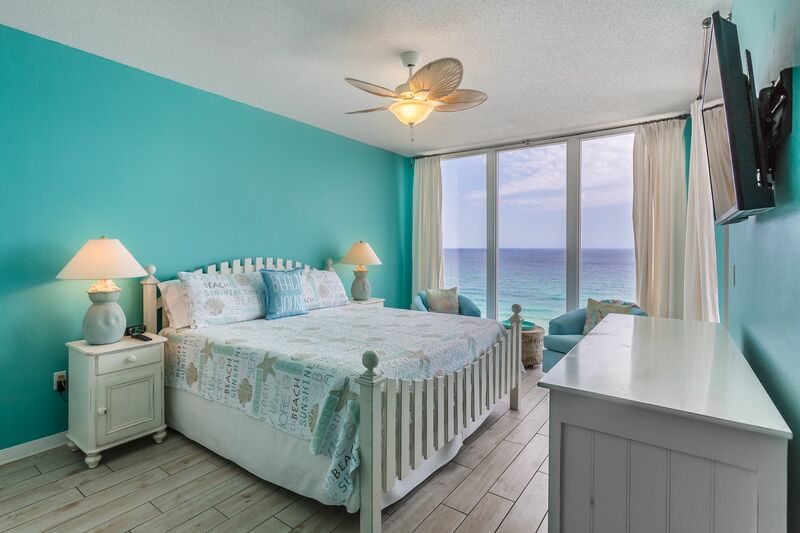 The coastal decor boasts a beachy hue that is almost as beautiful as the aqua colours of the Gulf of Mexico that is visible from nearly all of the windows in this condo. The kitchen boasts all that 2018 has to offer, including granite countertops and stainless steel applances. You will find all that you need to prepare dinner for the family and enjoy a nice night in. 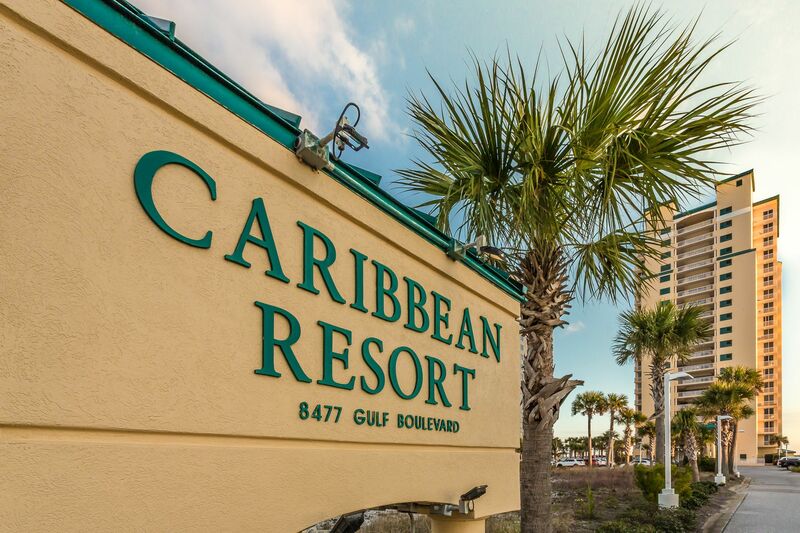 Our condo provides all of your cooking necessities including (but not limited to) a microwave, coffee maker, toaster, dishwasher, blender, and preparation instruments. 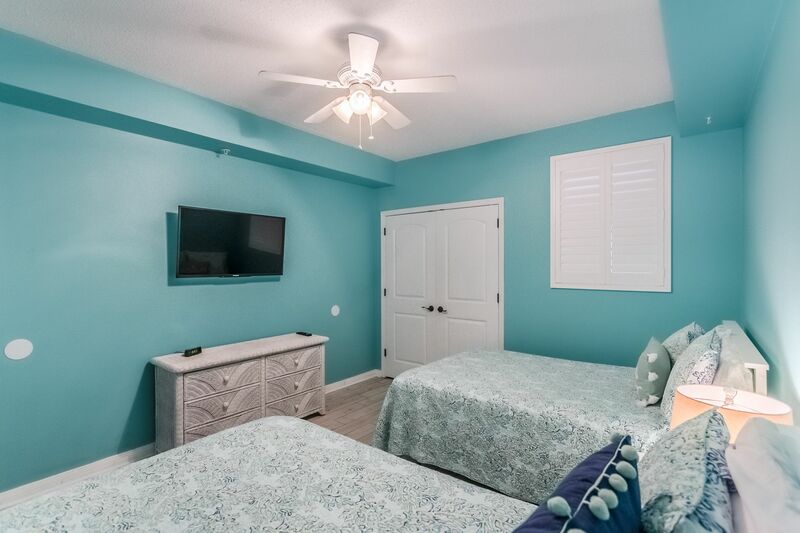 The family room is the perfect location to cozy up for a family movie night with a 65 inch flat screen TV, sound bar, and DVD player. Need to work remotely or stream to devices for the kids? No problem! 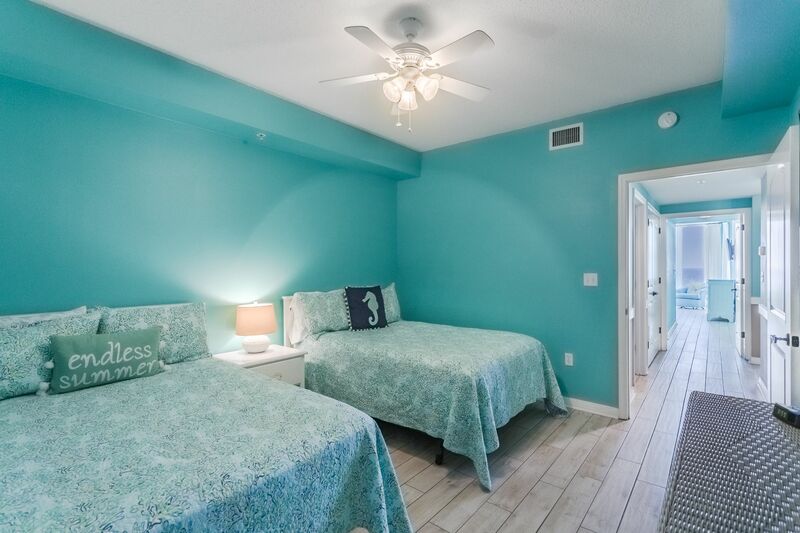 This condo features an upgraded wifi provided specifically for guests of this unit only, by the owner directly. You can book with reassurance, knowing that you are covered by more than the average condo association wifi. 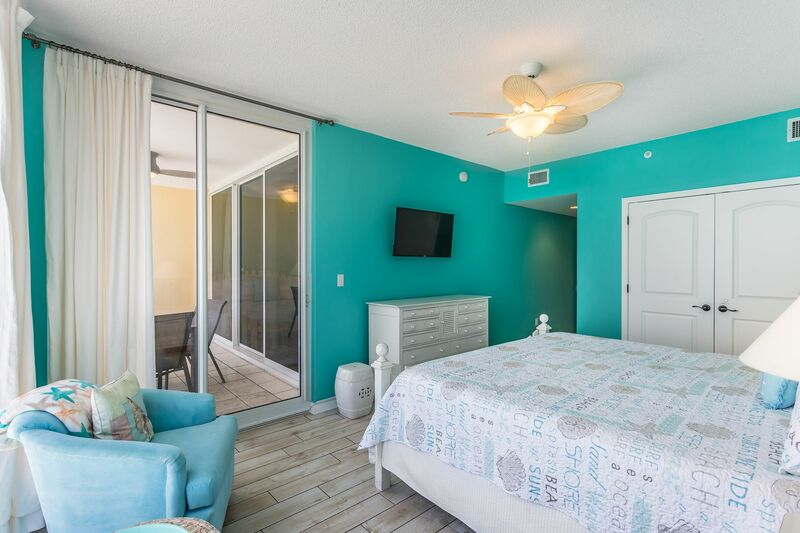 From the master suite you can fall into the comfort of the king sized bed to view the 40 inch flat screen TV or watch from the seating area. The master seating area features swivel chairs made for taking in the view as you sip your morning coffee. 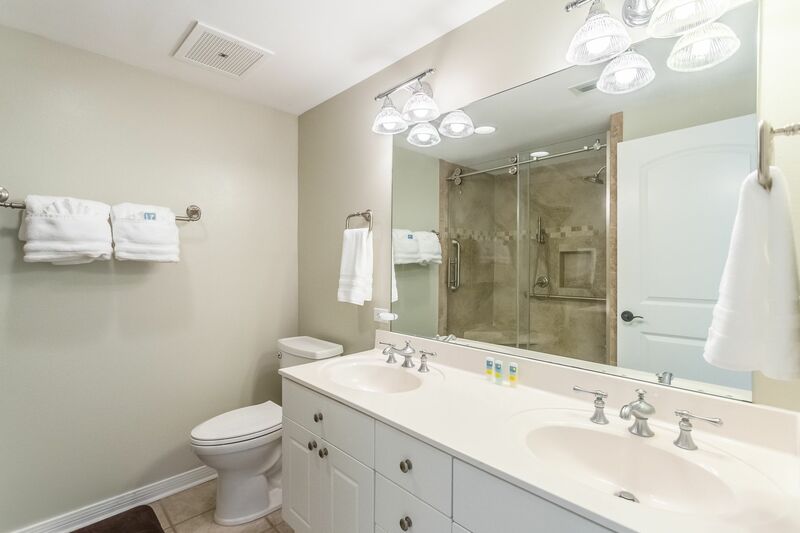 The gulf-side master bathroom was also renovated in 2018 with a tile shower that will make you feel like a king. The second bedroom is very spacious with 2 double beds, perfect for additional guests. 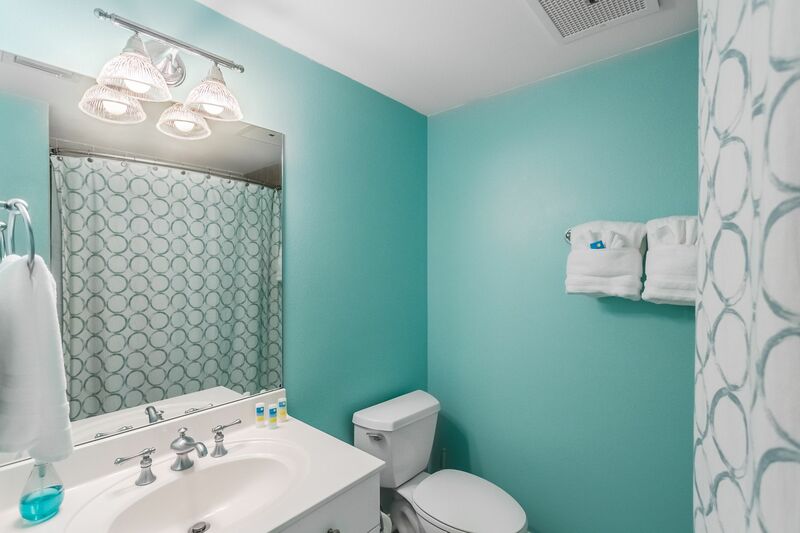 The guest bathroom features a shower/tub combo that is ideal for families with small children. Just down the hall you will find the brand new (2018) washer and dryer. 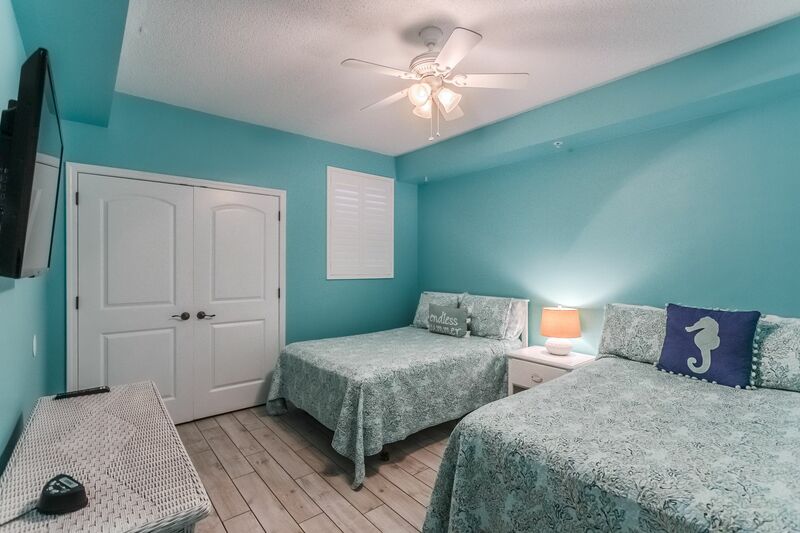 Perhaps the most functional room in this 1800 square foot condo is the lockout master bedroom on the Santa Rosa Sound side. 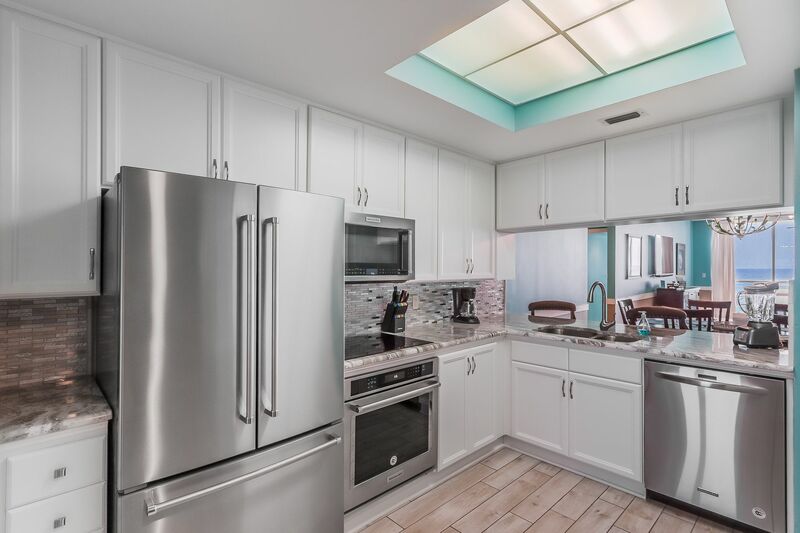 Also remodeled in 2018, the lockout portion boasts granite countertops, stainless steel appliances, microwave, dishwasher, and toaster. 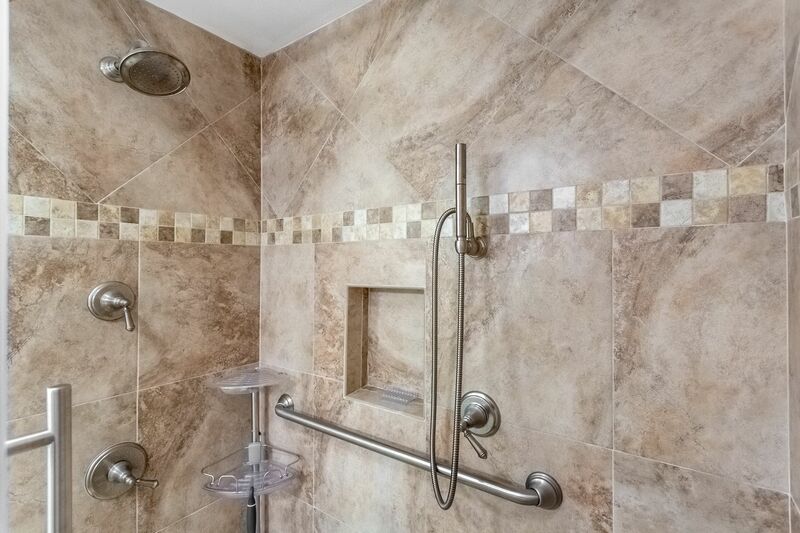 The lockout master suite has an en-suite bathroom with shower/tub combo. 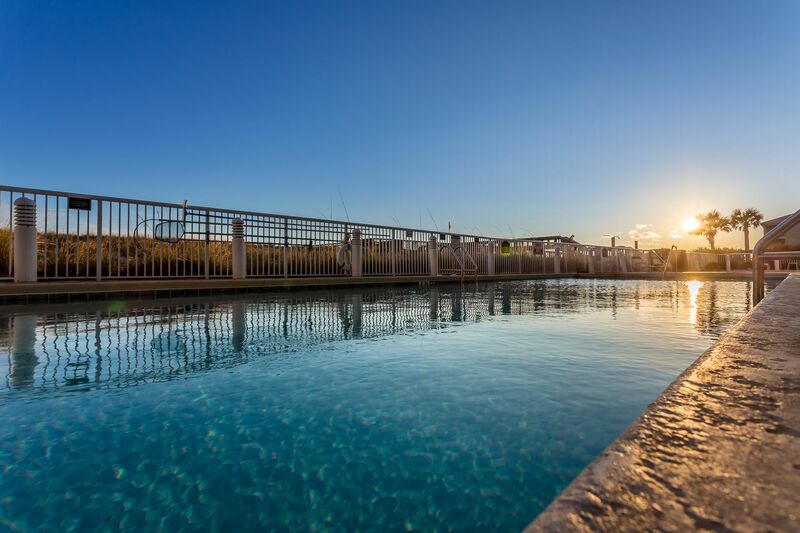 All Amenities are included with this unit which include: heated swimming pool, hot tub, smaller pool, and beach access with beach service (through October 31st). Grills are located on the ground floor, on the east side of the building. 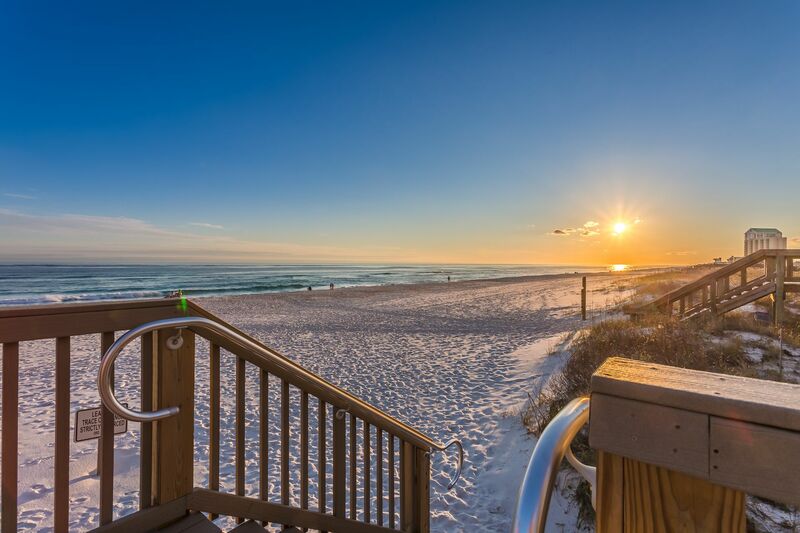 Navarre Beach is located 20 miles East of Pensacola and 20 miles West of Destin. 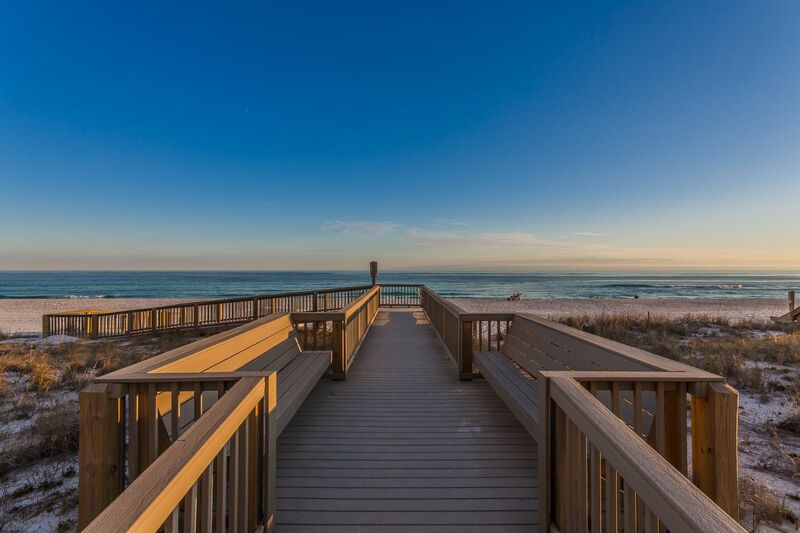 We have the longest pier in Florida for sight seeing and fishing. Wave runners are available for rent behind Juana's (a local restaurant and hangout), and scooter rentals are available right across the street from Caribbean Resort. Many golf courses are available in this area, so be sure to pack your clubs. 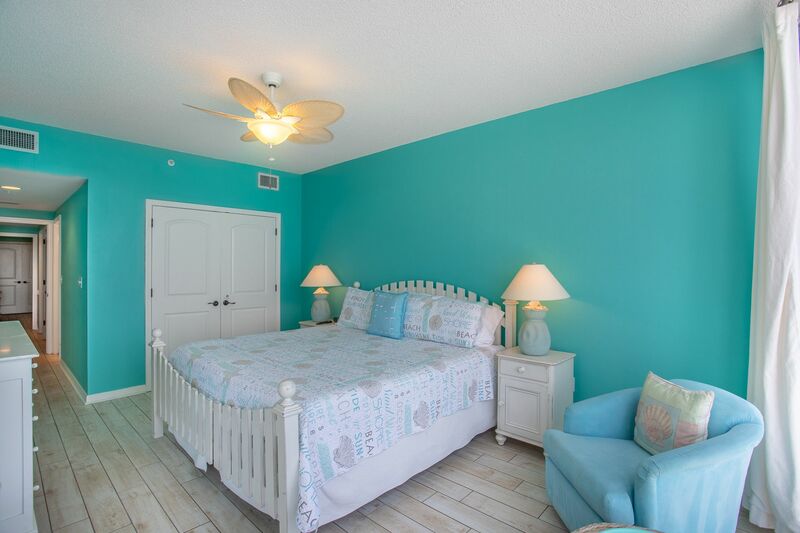 Book your stay with Island Time Beach Rentals to receive the utmost care and competence. 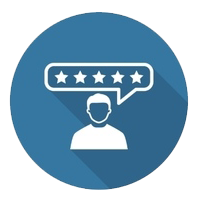 Our 24 hour maintenance and customer service team is here for you! 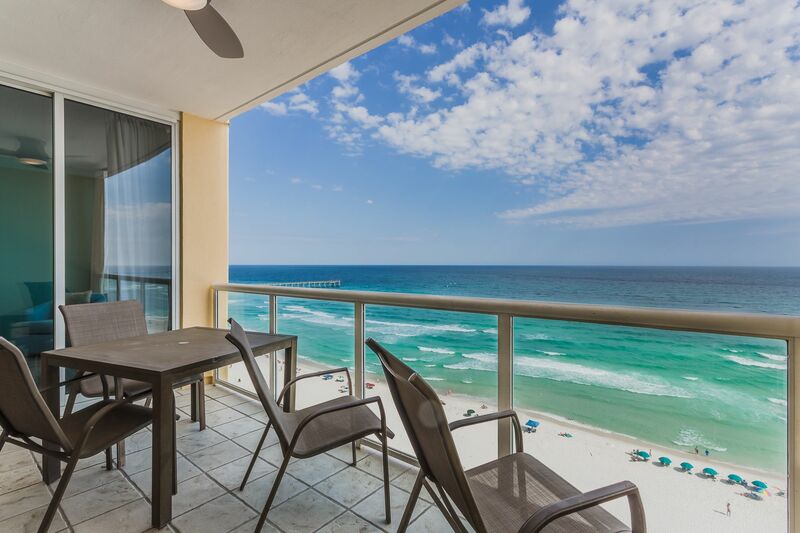 We strive to provide our guests with the best that Navarre Beach can offer, and we are honored to provide this condominium as one of our trusted vacation locations.